The Humour Foundation is a national charity founded in 1997 by a General Practitioner and professional performer, who saw an opportunity to bring the performing arts to the bedside of sick children in hospital and create and spread smiles and laughter where it is needed most. Their core programme is Clown Doctors, bringing emotional healing, humour therapy and empowerment to sick children and their families in 21 hospitals across Australia. By parodying the hospital routine through humour, Clown Doctors assist in the emotional healing, empowerment, treatment and recovery of seriously ill children. The programme aims to improve the quality of life for sick children and their families in hospital, and promote positive mental health and coping during times of serious illness, trauma, anxiety, injury, fear and stressful situations. Our strong arts and health background enables us to apply the ‘art of medicine’ to our practices, and effectively deliver the health benefits of humour. Deliver 50 high-quality, tailored ‘Clown Round’ visits for 12 months using props and mementos (red noses, bubble solution, balloons, smiles on sticks, stickers, musical instruments, Polaroid cameras, postcards) to distract and divert children in sensitive and stressful situations, such as in Emergency Departments and the Burns Units. These resources are an essential part of the Clown Doctors’ performance as they enhance the quality of humour engagement, tailor the interaction to the child’s individual needs, add the vital element of creative clowning and enable a patient to enter a world of fantasy and play, where they can forget their illness and act like kids again. 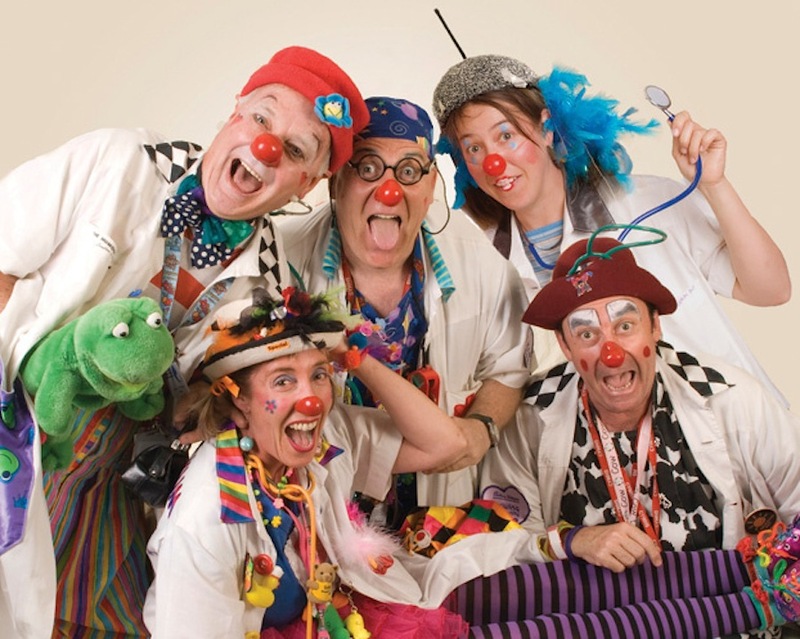 The UCF Board was pleased to assist the Clown Doctors programme in South Australia by approving a $2,000 grant.